Intra-School Competitions are run by our Sports Crew at lunchtime. Flamingos played Cheetahs at football, organised and refereed by Will and Archer. 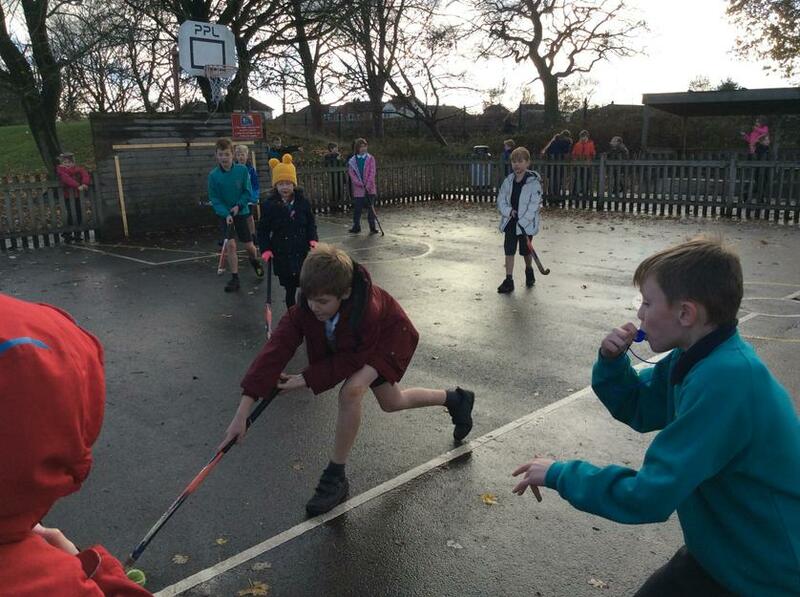 Falcons played Snow Leopards at hockey, organised and led by Oli and Joseph. 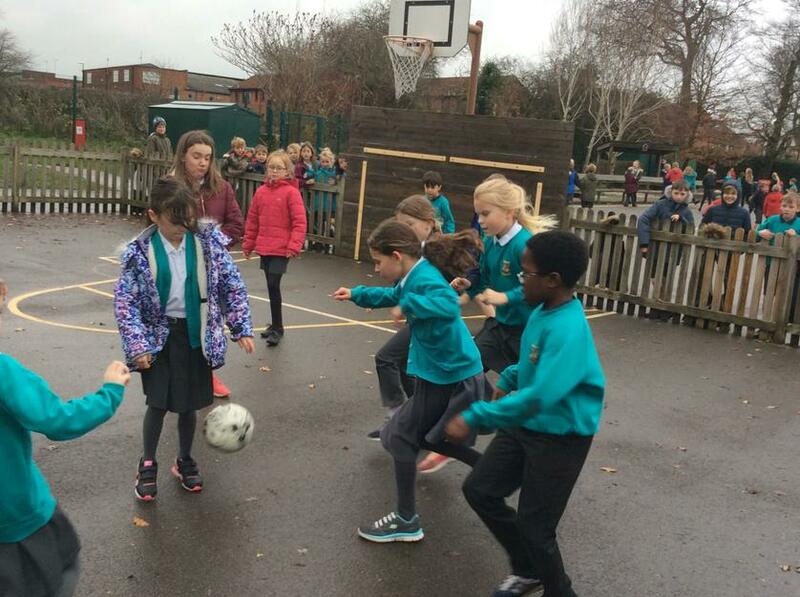 Owls played Foxes at football and Y4 Grizzly Bears played Y3 Grizzly Bears at basketball , led by Madeline, Evie and Ellie. Thank you to our Sports Crew. There are more competitions to come! Two of our kit managers (Madeline and Beth) recorded the return of sports kit used in recent tournaments. As you can see, they even folded it all beautifully! Meanwhile, some of our committee put their names forward for sports leadership training and calculated average distances for their class laps in the Daily Mile. Our Sports Crew are ready to encourage physical activity across the school. 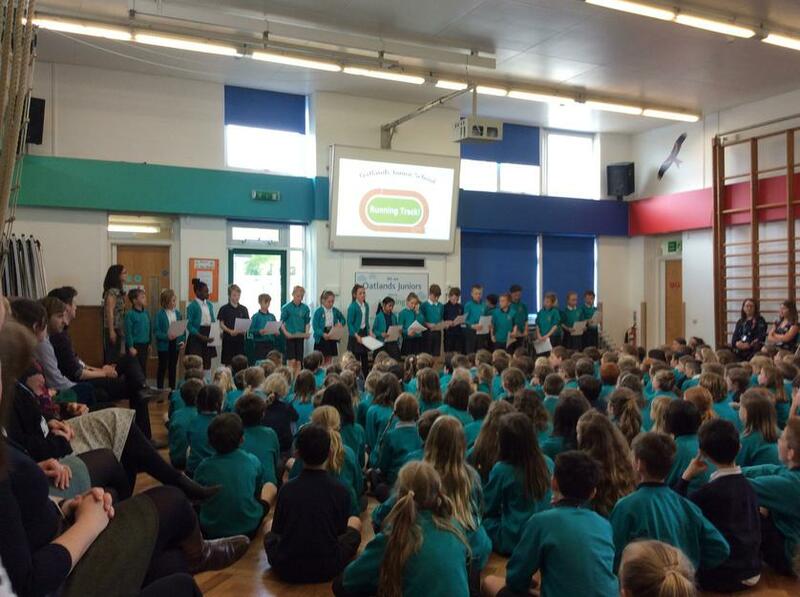 They will be promoting sporting events, assisting with the organising and running of sporting activities, including The Daily Mile, and coaching and encouraging others. They have had their first meeting and discussed how they would like to promote Walk to School Day. Our Sports Crew held two assemblies in the run up to our Sports Afternoon. These were to explain to the rest of the school how the afternoon would run and to rehearse the opening welcome. A video of their Opening address will soon be available on our website. 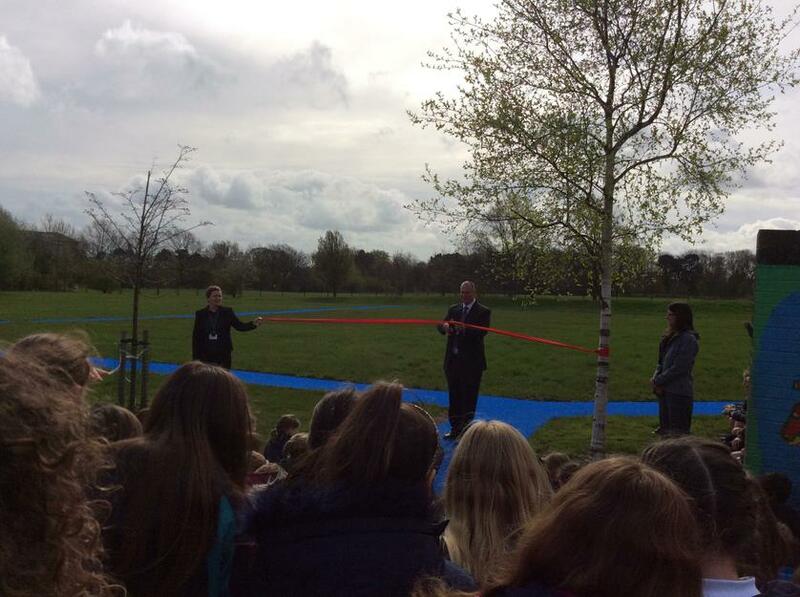 Our Sports Crew gave a whole school assembly to launch our newly completed running track. They explained the timetable and rules they had designed. Once the ribbon cutting was complete, they then ran an inaugural lap. 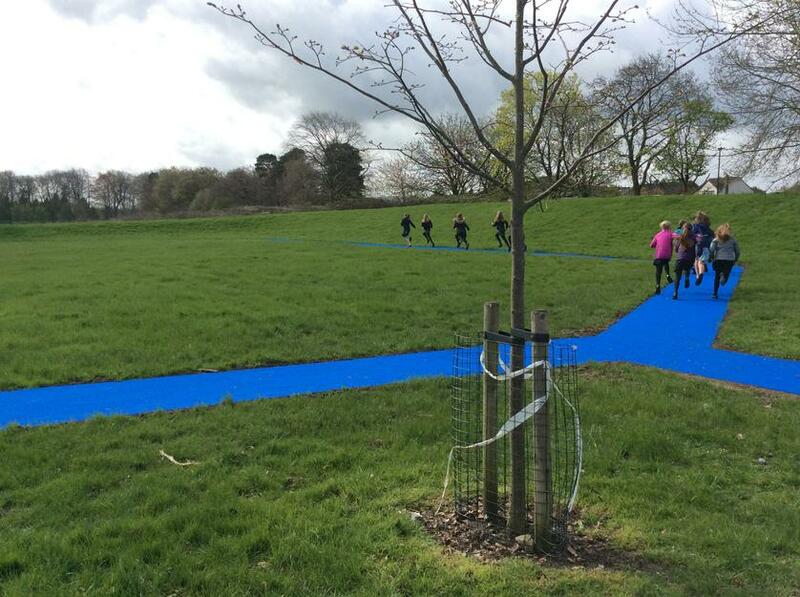 The track has been busy every break time since - it has been wonderful to see our pupils enjoying the new resource. 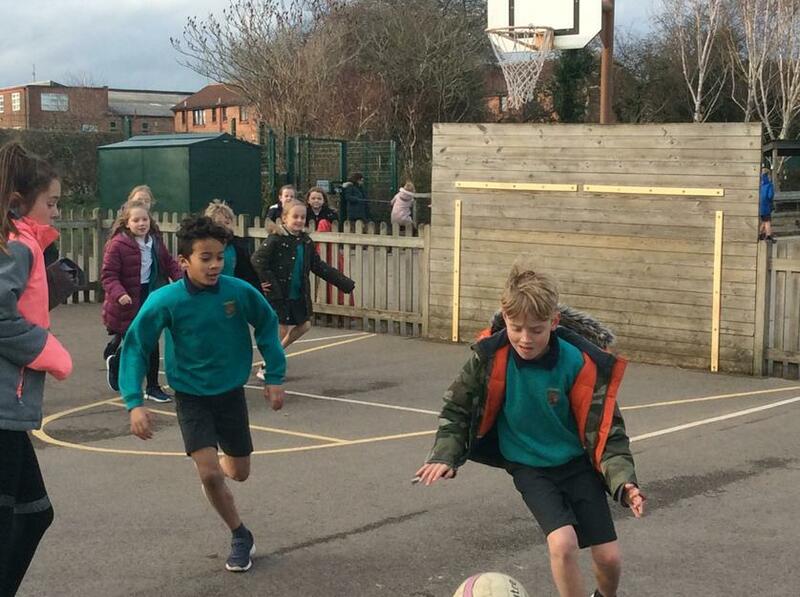 As part of our project for Sports Relief Week 19th– 23rd March, we are very excited to get everyone involved in all the different daily challenges we have planned for the playground. Each day, we will have a different activity for people to have a go at. Sports Crew and the Play Leaders will be recording the top scores per year group over each day. 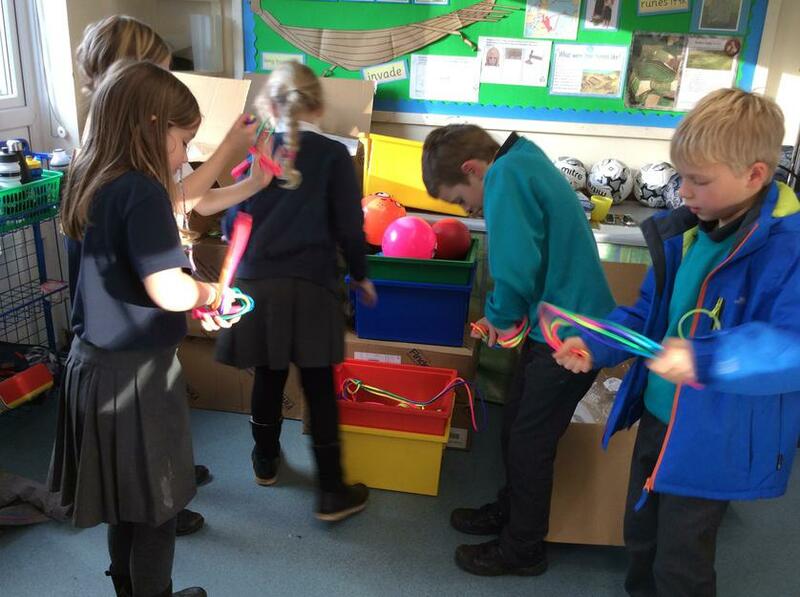 We have organised lots of fun activities such as hula hooping, skipping and footie skills. Could you be the winner of one of our challenges? Look out on the playground over the week to take part! In support of Sports Relief, there will be also trainer moneyboxes in each class to collect coins throughout the week to raise money for this amazing charity. We will also have Sports Relief goodies available for you to buy over the week. Thank you to everyone for contributing to the Running Track fund through today’s non uniform day, we have raised £261.55! 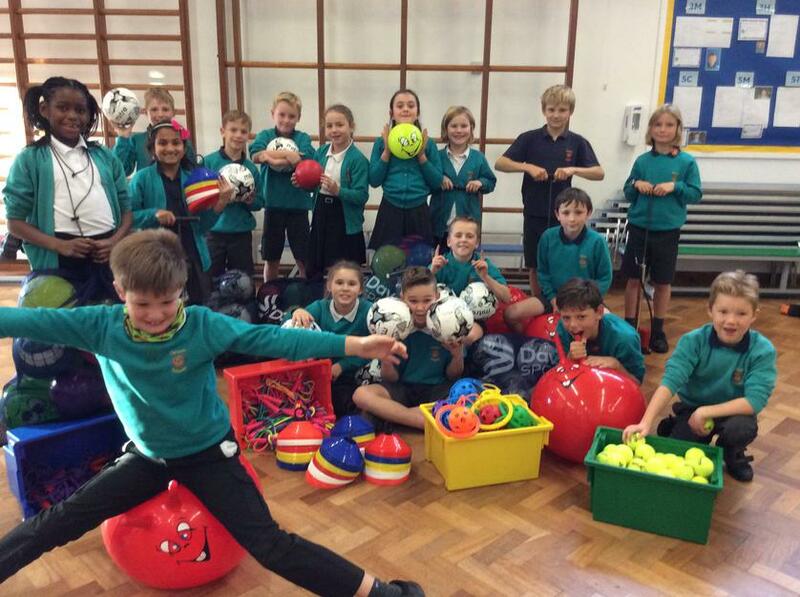 Last week, our Sports Crew took delivery of all the equipment we ordered with our Active Kids vouchers. Items included pumps, footballs, soft balls, tennis balls, bouncers, individual skipping ropes, Double Dutch skipping ropes and ankle skips. Some of the equipment will replace or supplement teaching resources; other items will be used by our play leaders and Sports Crew, when leading activities outside. 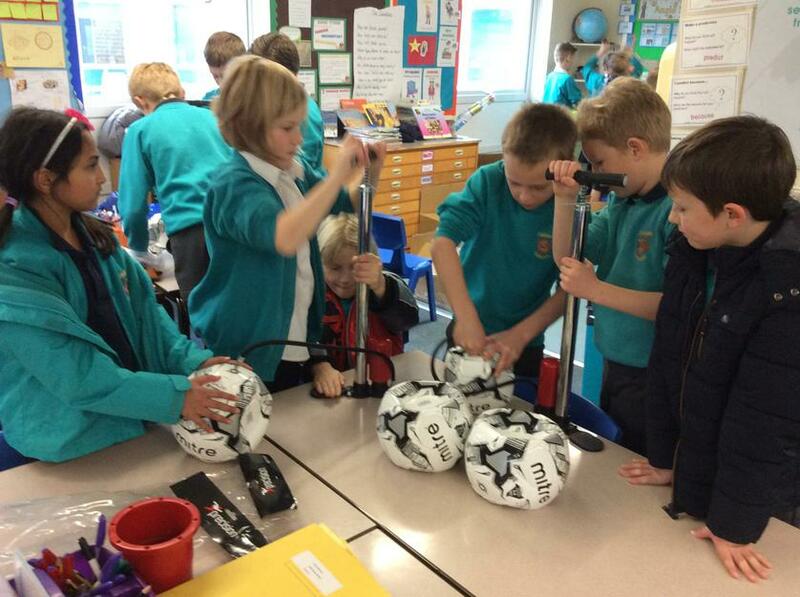 Thank you to Sports Crew (and some keen members of 3-4K) who unpacked everything and pumped up all the balls! 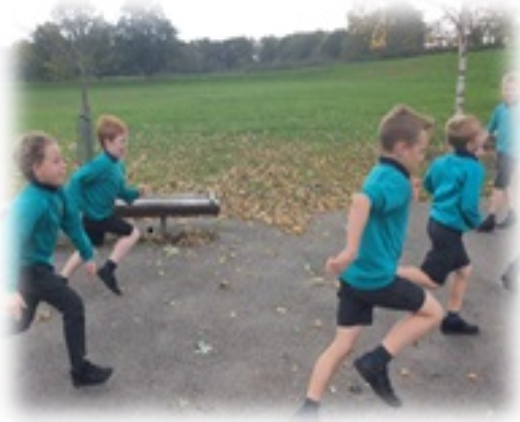 As the newly elected Sports Crew, we are really excited about promoting physical activity throughout our school. Our first project is to advertise ‘Walk to School’ Day on Wednesday 4th October. For each day next week, the Sports Crew in every class will record how many children do at least one hour of exercise outside of lessons. This will include activity at break times, before and after school and, of course, walking/ cycling/ scooting to and from school. Could your class be the most active? Look out for our posters in the classrooms! "Some of us ran laps around the playground during morning break,” explained Joseph Brennan. 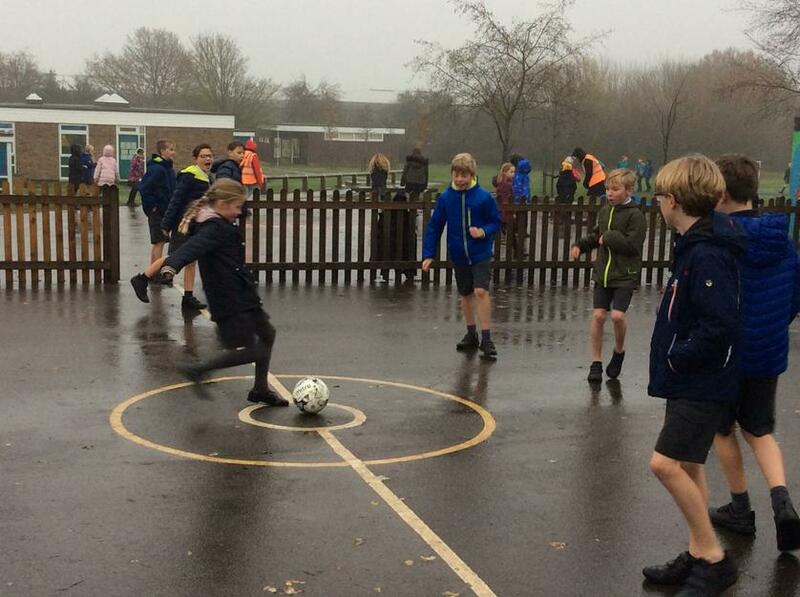 “Ted and I did eight laps round our local park after school.” Joseph Kell and Ted Crossland. The winning class was 5/6C with a total of 30, 067 minutes. That works out at an average of 1037 minutes or 17 hours per child during the week – impressive! 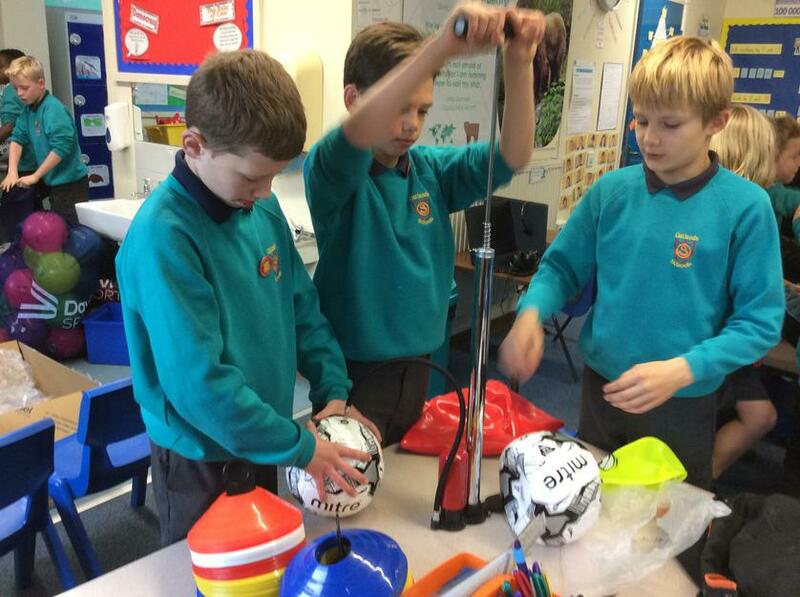 After half-term, Sports Crew will be unveiling new plans for extra activities at break times.